One size fits all, that's the idea behind Gary's latest Lightsphere model. 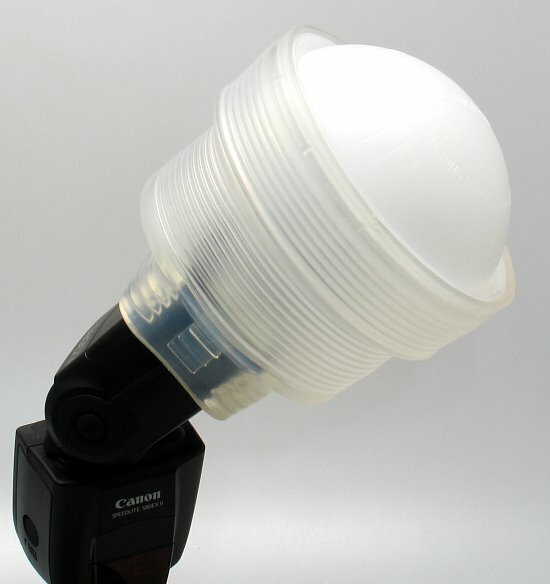 The Collapsible Lightsphere (aka CLS in this article) is a large, yet effective flash diffuser that offers a wide variety of options over the conventional omni-bounce. Not only does this unit fit most all external flash units on the market thanks to its "sizing ribs", but it can be collapsed down to 1 1/2 inches when you're not wanting to use it. 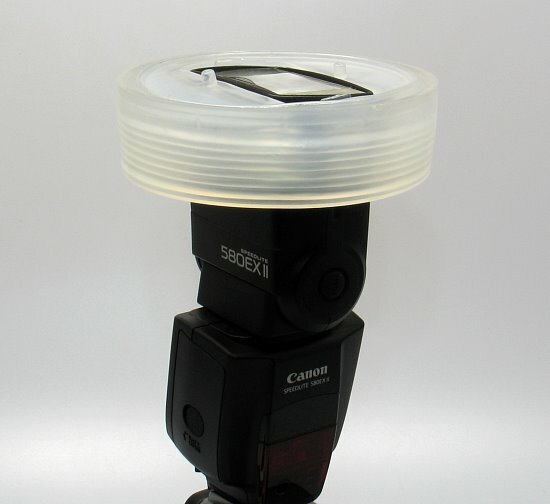 This is accomplished thanks to its soft clear vinyl construction, which allows you to either collapse the unit and keep it attached to your flash, or easily store it away in your camera bag. 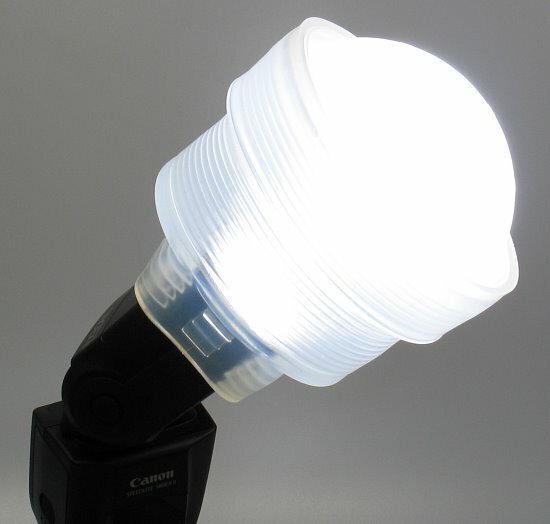 Here we can see the retail packaging of the Collapsible Lightsphere. Once you've unpacked the Lightsphere you now have three pieces, once of which is an adapter ring that is only needed when using the optional "ChromeDome" attachment (top right of the photo above). 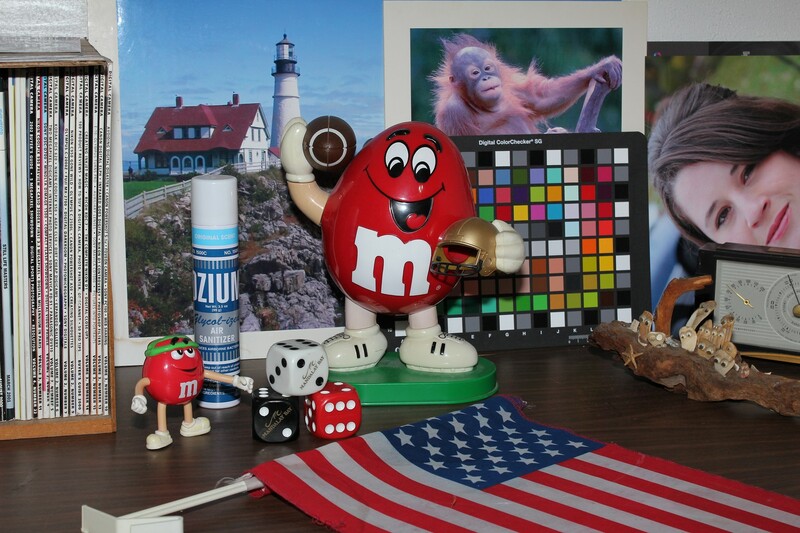 Here we can see the Collapsible Lightsphere attached to my Canon 580EX II speedlite. 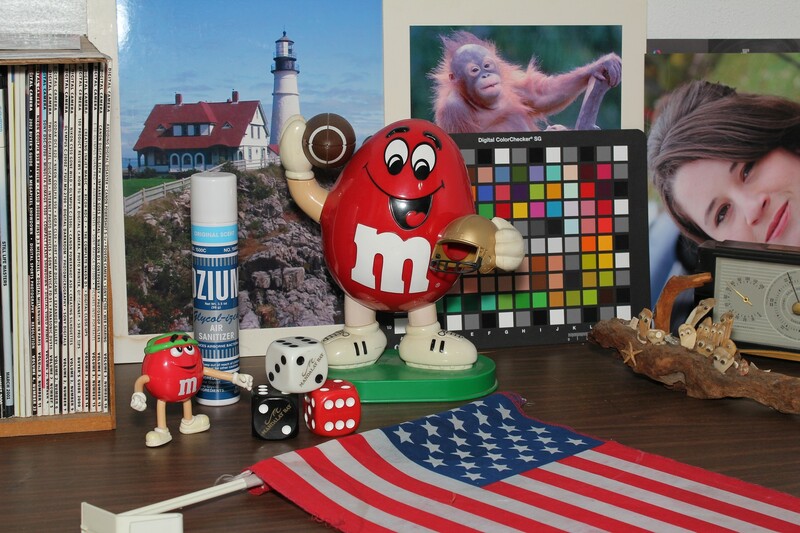 In this photo it is in collapsed form, which allows you to either use the direct flash or easily store the flash in your bag without having to remove the CLS. Now we can see the Lightsphere fully extended. As you can see, the CLS is quite large, however its size is part of why it works so well. 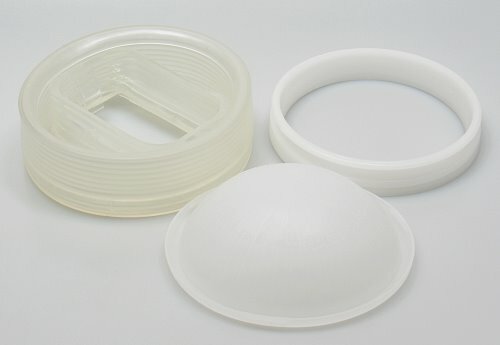 Included with the CLS is an inverted dome, which can be used in several ways (more on that further down the page). Lastly, you can see an example of the dome in use. 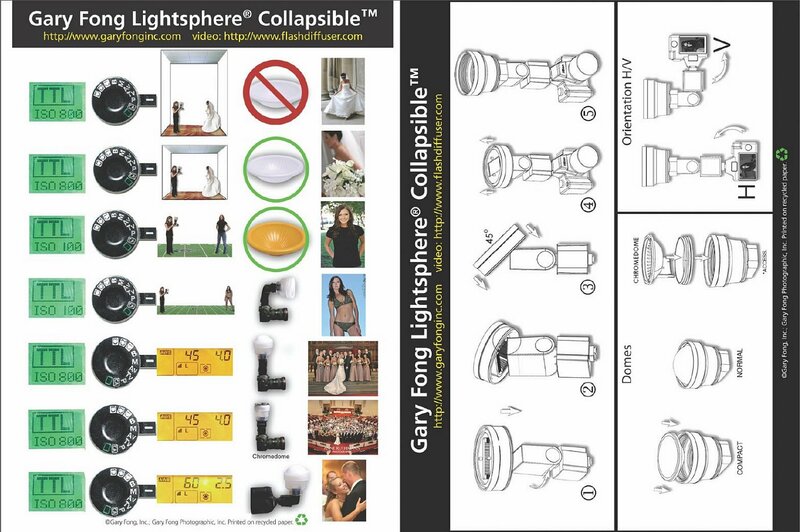 Gary also includes a handy instruction card with the Collapsible Lightsphere, which has mounting instructions as well as helpful setting recommendations to help you get started using the LightSphere. I was very excited to get the Collapsible LightSphere in for some testing. I enjoy shooting weddings and portraits often, and looked forward to comparing the CLS to other flash diffusers I've used in the past. First, I decided to do some tests using the Canon EOS Digital Rebel T2i to snap some photos of our M&M man setup. Here I am going to show you the differences between direct flash from the T2i, 580EX II direct flash, 580EX II bounce, 580EX II with Collapsible Lightsphere and inverted dome in vertical mode, and a combination of direct type flash with the Lightsphere using the inverted dome facing inward and outward. Putting white balance aside (I left the WB set to Auto on the camera), the results show that the Lightsphere helped my 580EX II produce pleasing results, with a much more even light. I personally prefer using the CLS in vertical mode with the inverted dome attached. It truly gives the effect that you are shooting with a studio lighting setup, without the cost and room needed for a setup like this. 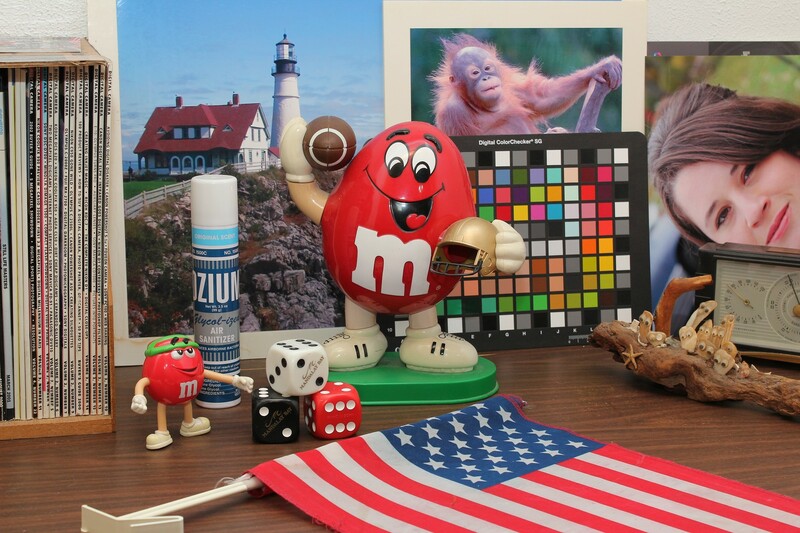 Am I saying that you don't need studio lighting because of the Lightsphere? No, not at all. However, I am implying that the Lightsphere really works, and produces some very flattering light that is far superior to a typical omni-bounce. Next I decided to use the CLS while shooting a wedding reception for some friends. Again, I was totally impressed with the results. The CLS harnessed the power of my 580EX to produce a nice even light on my subject's face. Below you can see a good example of this, where I was standing about 6 or so feet away; photo taken using the Canon T2i, Manual mode (f/4.5, 1/125, ISO 800), and manual WB with the ColorRight Pro. As you can see, the lighting on the bride's face is exceptional, thanks to the Lightsphere. I truly enjoyed using Gary's new Collapsible Lightsphere. 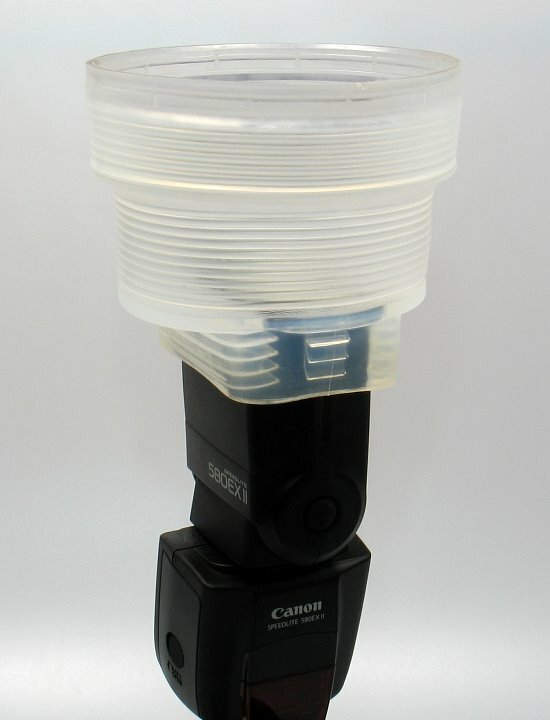 This unit produces much more pleasing light compared to other flash diffusers I've used, thanks to its large size and unique design. The inverted dome is an awesome accessory for this unit, making it extremely versatile both indoors and out. There are also several other optional accessories available, such as Gary's Color Gels, ChromeDome, AmberDome, and the PowerGrid. My only real complaint with this unit is that Gary makes it look so much easier to extend/collapse than it really is. I'm sure with more practice I'll be able to master it a bit better. 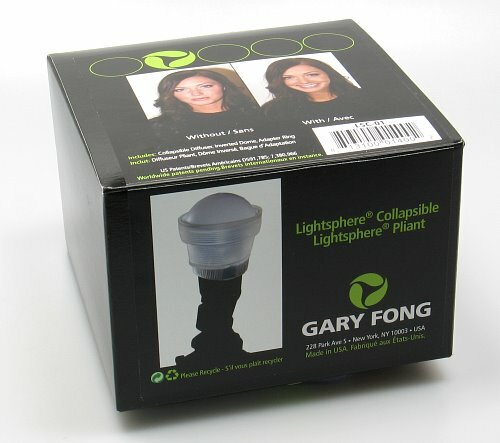 That said, I feel the Collapsible Lightsphere from Gary Fong is a must have accessory for portrait and wedding photographers. You can take it to the bank that this unit will be in my bag whenever I have an event to shoot. With a street price of $60-65 for the kit we tested, the Collapsible Lightsphere offers great "bang for your buck". Below you can see a few more samples using my old Digital Rebel, a 580EX II, and the CLS.